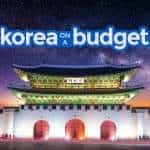 Seoul has three unofficial tourist districts because of the high concentration of budget lodging options: Jongno, Myeongdong, and Hongdae. Which is the best? Well, I hate answering with “It depends,” but I have to say, “It depends.” Haha. 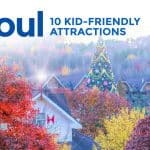 The thing is, all three districts are easily accessible from the airport and are all close to major tourist spots, so it ultimately boils down to two things: the vibe and your itinerary. Vibe, because all three foster their own unique atmosphere. Your itinerary, because they are within walking distance of some key attractions. You might want to consider staying in the area where most of the places you will visit are located. I have experienced staying in all three districts, and I personally prefer Jongno. There’s just so much to see and explore here. Here are the hostels and a hotel that I have tried. Aka Fully Guesthouse. Located in Jongno. Tidy rooms, and excellent service. Perfect if you’re also interested to meet other travelers. 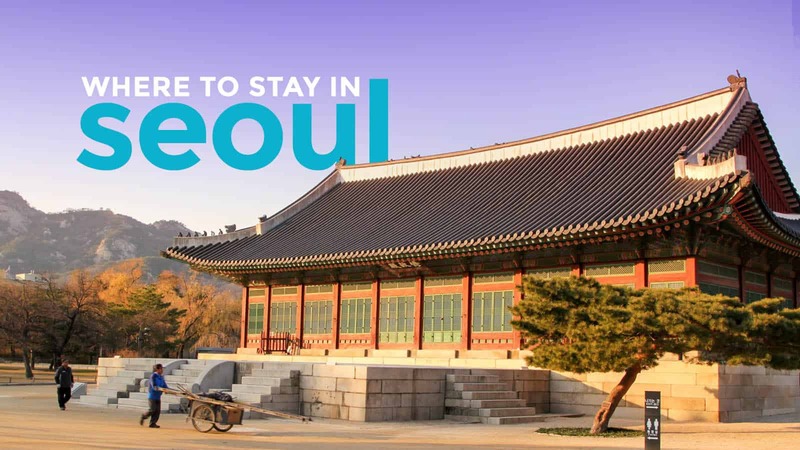 Location couldn’t be any better: Seoul’s key historic sites are all within walking distance. Easily accessible from the airport. How to get there from Incheon Airport: Board Bus 6002 at Gate 5B or 12A and alight at Jong-no 3ga station. 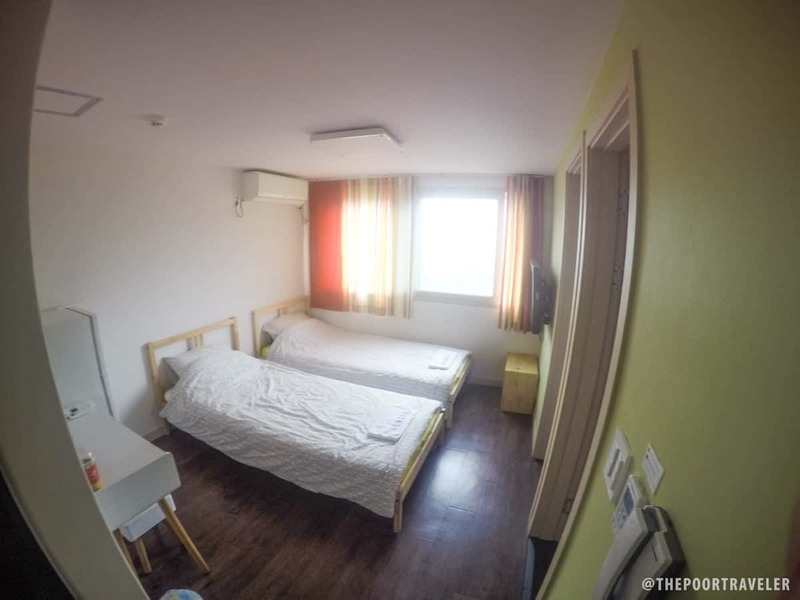 Rates: We paid KRW 58,000 (USD 49.6, EUR 46.4, PHP 2470) per night for a twin room. Located just one block from Hongik University Station (Exit 3) and a short walk from Hongdae University Street. Lots of great but cheap food places and convenience stores around. Room given to us was neat and properly maintained. Common areas were a bit small, but during my stay, they were never crowded. Staff wasn’t as friendly as I am used to, but still okay. Overall, pleasant experience. How to get there from Incheon Airport: Board Bus 6002 at Gate 5B or 12A and alight at Hongik University Station. Rates: We paid KRW 68,000 (USD 58, EUR 54, PHP 2900) per night for a twin room. I don’t normally stay at hotels, but when I saw that the cost wasn’t that far from hostels, I decided to give it a try. It’s a limited-service hotel but a legit hotel nonetheless. The room I was given was small but super clean and had hotel quality beds (because, again, it’s a hotel, haha). Myeongdong Shopping Street is just a walk away, albeit a long one. 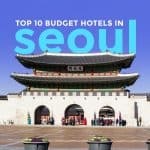 But it’s just one station away by subway, which is convenient because Namsan City Hotel stands just a few meters from Exit 3 of Hoehyeon Station. How to get there from Incheon Airport: By bus. Board Bus 6015 at Gate 5B or 11B and alight at Namdaemun Market. Walk across the market and you’ll find the hotel on the other side of the road. You can also reach it easily by train. Just ride the Airport Railway Express (AREX) train to Seoul Station, transfer to Line 4 and get off at Hoehyeon Station. Take Exit 3. 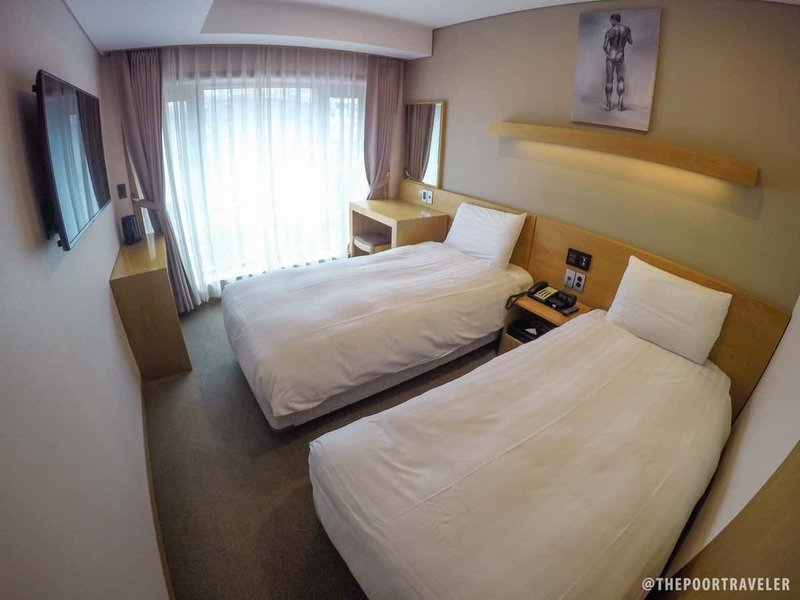 Rates: We paid KRW 78,700 (USD 67, EUR 63, PHP 3355) per night for a twin room. What are your thoughts regarding the new Hotel complex at Yongsan Station. I’m considering staying there as it provides easy access to all three of the areas you mention, and also because I have elite status with Accor. Will I regret that decision? Just basing it on the map, still looks like a bit far from key attractions. But I have yet to try it. Maybe it has its perks. 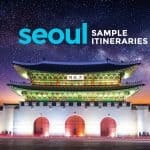 I’d love some assistance to make a decision about where to stay…this is the first time for my husband, myself and our 20 yr old daughter (we live in the US), our 23 yr old daughter has been once before and is now married to a Korean (they live in California). Our son-in-law does not know Seoul all that well so we are trying to figure out where to stay. We were advised to stay in the three cities you mention and have booked something near Hongdae in Mapo-gu (not IN Hongdae because we could not find what we wanted for 5 ppl and we wanted quiet at night). This will be for 2 nights, then we head to Daegu and Busan and return to Seoul for four days before going back to Los Angeles Jan 12th. At this time we will only be 4 of us as my son-in-law will stay behind in Daegu with his parents. 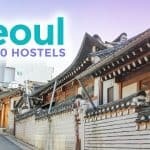 I did book a hotel in Myeongdong (our girls LOVE to shop) but it’s two separate rooms and expensive ($200 a night for the two rooms) and we’d prefer to be together. I want to keep looking. I keep looking at Airbnb’s but the maps are misleading. One looked great and turned out to be on the other side of Central Station, not IN Myeongdong. I had looked in Jongno extensively earlier but found that most airbnb’s have traditional floor mattresses and hand-held showers (I really don’t understand these showers), and few regular beds or full showers with door or curtain. Will Jongno be more removed from shopping and access to transportation to the airport? Is staying 1.3 km away from Myeongdong on the other side of Central Station too far? My head is swimming from looking at all these hotel and airbnb sites for hours on end. Myeongdong is only 2 stations away from the Central Station so if your hotel is anywhere near it, you have easy access to Myeongdong. Jongno isn’t that removed from shopping spots. There are shopping areas in Jongno too (Dongdaemun Market is close), but they’re just not as popular as Myeongdong shopping-wise. But Myeongdong is easily accessible from Jongno, too. In general, if the hotel you’re eyeing is near a subway station, you should be fine. 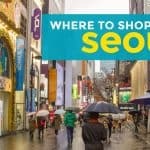 Almost all attractions in Seoul are easily accessible from a subway station.